Know a keen golfer that takes his or her swing seriously? You can’t go wrong with a National Club Golfer magazine subscription, the perfect read for any golf mad individual who loves to have the latest gear and is the first to know all the gossip in the world of golf. Filled with great tips and guides on improving every aspect of your game, National Club Golfer is a fantastic monthly read delivered direct to your door. Discover celebrity golfer interviews in every issue, reports on tournaments and the gear the National Club Golfer magazine team are rating this season, plus much much more! Treat the golf geek in your life to a National Club Golfer magazine subscription, the serious golfer’s ultimate resource for all things UK, international, amateur and professional golf! 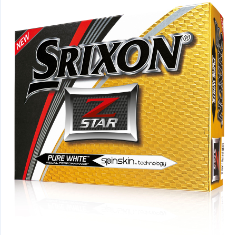 Free Gift - A Dozen Srixon Z-Star balls worth £49.99 with your subscription! Filled with all the latest news, gossip, views and rumours around the biggest stars and tournaments in the sport, a National Club Golfer magazine subscription brings informative guides and engaging features on every aspect of golfing. Find the newest gear and apparel as well as the coolest clubs to improve your swing. With a National Club Golfer magazine subscription you’ll find a glossy golfing magazine covering the basics as well as tricks better suited to intermediate and advanced players, as well as caddy etiquette, international rules and clubs to join across the UK, Europe and internationally. Free delivery before it hits the newsstands, direct to your door! How much is National Club Golfer magazine? How often is National Club Golfer magazine published? How can I buy National Club Golfer magazine? How many issues of National Club Golfer magazine are published each year? Who publishes National Club Golfer magazine?